Weird Al eh? What a funny dude. In case you’re odd, or perhaps you’ve been living as some sort of gimp in a cellar for the past 30 years or so, Weird Al is an American entertainer who takes popular music and turns them into parodies. Sometimes quite well. 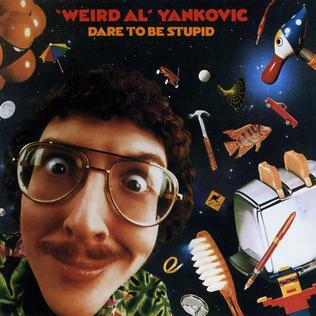 Dare to be Stupid is Yankovic’s third studio album. Unfortunately, as an introduction to Yankovic it’s not a good choice. Nothing innovative or original here, just Yankovic going through the motions, and by motions I mean poo.